UPSC Recruitment 2018 for NDA and Naval Academy 383 Vacancies - upsconline.nic.in : Union Public Service Commission (UPSC) has released a notification for the recruitment of 383 vacancies in National Defence Academy (Army, Navy, Air Force) and Naval Academy (10+2 Cadet Entry Scheme) through National Defence Academy and Naval Academy Examination (II), 2018. Interested candidates may check the vacancy details and apply online from 06-06-2018 to 02-07-2018. For Army Wing: Candidates should have passed 10+2 pattern of School Education or equivalent examination conducted by State Education Board or a University. General/UR/OBC Candidates have to pay Rs. 100 through SBI Bank Challan or using Net-banking/Credit or Debit Card. SC/ST Candidates /Sons of JCOs/NCOs/ORs don't have to pay any fee. 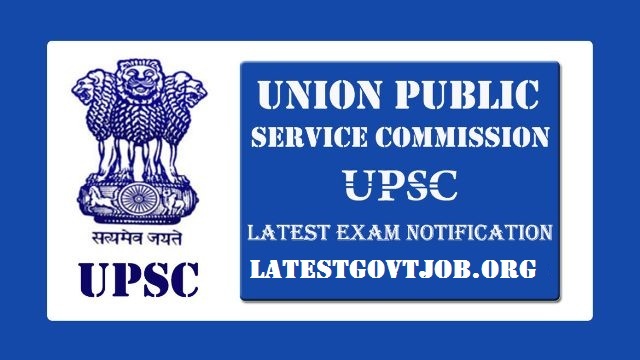 Interested and eligible candidates may apply online through UPSC website - https://upsconline.nic.in/ - from 06-06-2018 to 02-07-2018.